This past weekend, the Inaugural Amigos Fun Run with The Weber School took place! Families, friends and students all took part in the race which benefited the Los Niños Primero athletic programs like soccer and karate! We are very thankful for such great local support in Sandy Springs, and to The Weber School for hosting us on their campus! 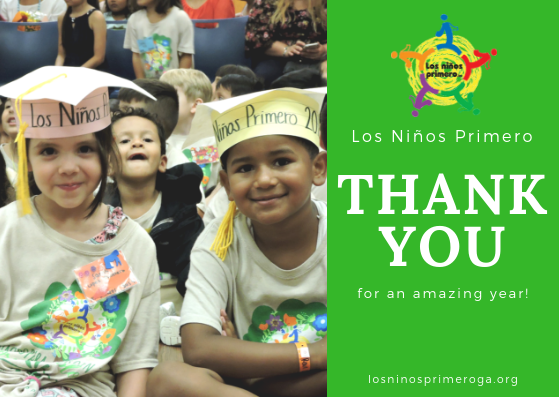 Los Niños Primero would like to take a moment to thank all of our wonderful sponsors, staff, volunteers, facility personal, and our wonderful families and supporters who have made this past year possible! Our local Sandy Springs community has been a great source of support this year, and we hope to be able to continue to count on that support as we move forward! This past week the Sandy Springs Optimist Club visited our Tuesday class of children attending our After School Literacy Program! Our twice weekly program works to further our student’s grasp on the English language and to ensure parents are engaging at home as well! The Optimist Club was gracious enough to have a Mr. and Mrs. Santa Clause come visit our students to wish them a happy holiday season! Thank You! United Way & Los Niños Primero have joined together to once again offer a comprehensive 20 hour program aimed at assisting and growing the strength of families through parent leadership! This program began in early 2018 and after a fun and successful first run, we are pleased to once again be able to offer this opportunity to a new group of parents! Los Niños Primero is excited to help our families be the best they can be while promoting healthy ways to engage with each other. 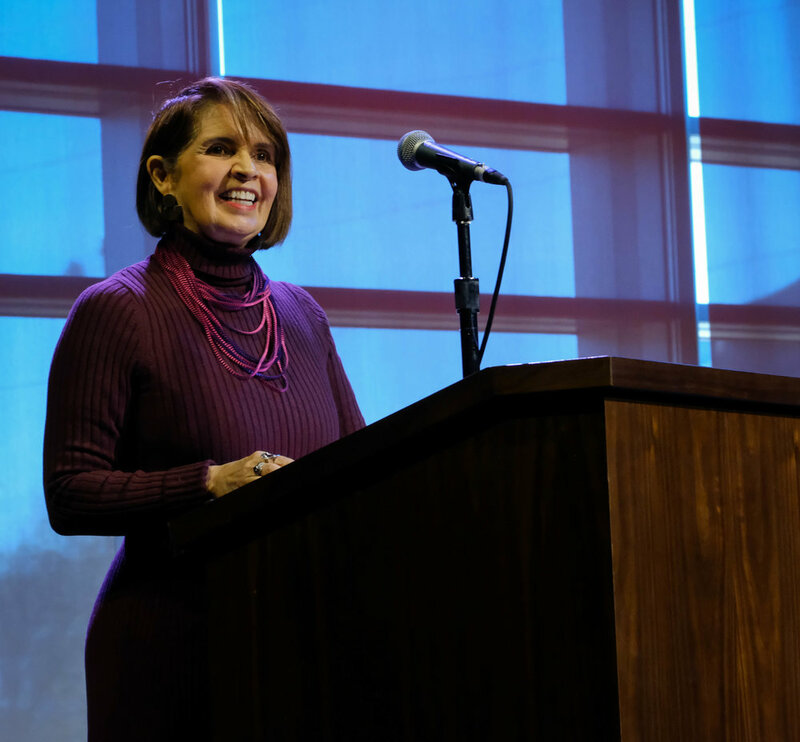 This past week, Los Niños Primero held a celebration in honor of Martha Barrios Mead and the Martha Barrios Mead Scholarship created in her memory. Our 2018 scholarship recipient was in attendance and shared some stories about her college experience thus far at Georgia State University! 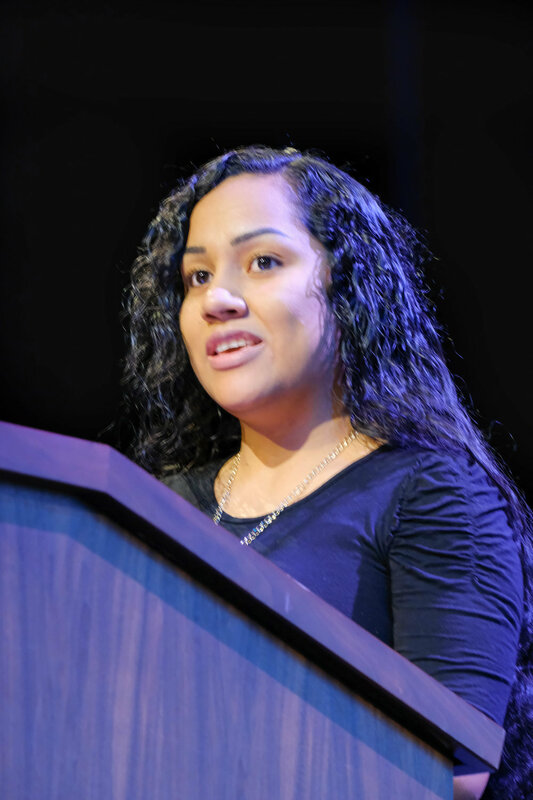 Our former student and youth volunteer, Rose Moctezuma is very much enjoying her time at GSU and hopes to continue on a pathway leading towards a medical degree! Los Niños Primero is thankful and grateful to be able to offer this type of support to past students and volunteers! To find out more about the Scholarship please visit this link. The Performance was done for the center’s Day of Dead Celebration it put on for the city that day! Along with our wonderful chorus, there were many other presentations and activities which took place such as face painting, interactive art, and much more! Our Chorus program operates once weekly in the local community. We are very thankful for our wonderful Music Director, Ricardo Hurtado and all the wonderful things he has done for our students! This program also serves as a way to keep our Summer Educational program graduates connected to LNP! We are very thankful for having such an opportunity to share our student’s talents and skills with others! A big thank you to Talento Latino Modeling School and their 2018 Unique Fashion Show for supporting Los Niños Primero! The event was held in honor of the modeling school’s 8th anniversary, and Los Niños Primero was selected as one of the organizations who would benefit from the funds collected that evening! A wonderful evening full of fun and runway glamour for sure! We are very thankful for such support for our children! We wish to thank all those who attended our Dance and Tequila dance lesson this past weekend on Sunday October 14th. We can not thank everyone enough for their support and participation! We hope everyone had an enjoyable time learning new moves! A special thank you to our wonderful dance instructors, Lilliann Tovar and Martin Perez! Thank you to everyone who came out to support our organization and parent programs this past Sunday September 30th, at out annual La Fiesta in the Park sponsored by Global Payments & Carlos Corless Attorneys at Law! The event could not have been made possible without the help of out wonderful parents, the Mt. Vernon Presbyterian Church staff and friends, our youth and adult volunteers, and many other kind supporters! Those who attended were treated to live performances from a magician, dancers, a petting zoo, a track less choo-choo train, and so much more! 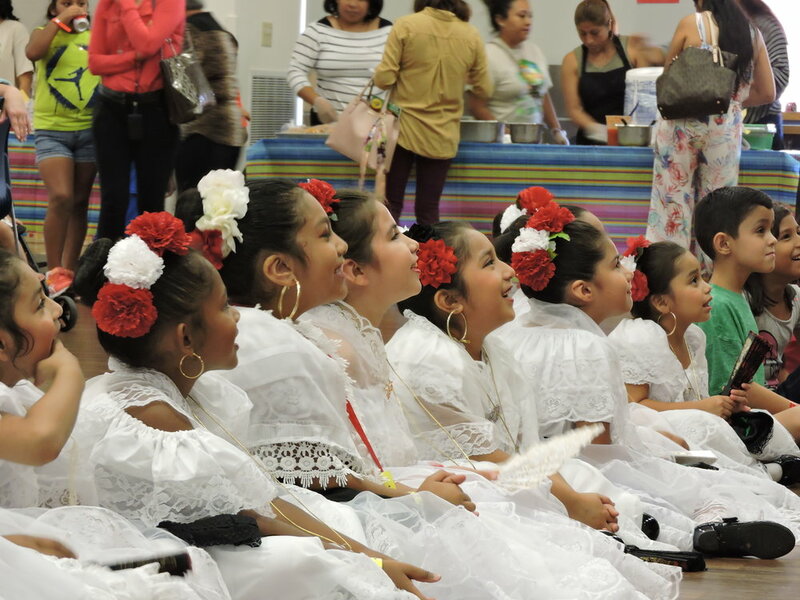 We hope to see all at next year’s Fiesta!